Hope joined HCAP Partners in May 2009. Hope participates in the origination and analysis of new investment opportunities, investment due diligence, deal underwriting, and investment monitoring. In addition, he has led the development of impact investing initiatives since joining the firm and contributes to thought leadership in the impact investing space. Hope is currently a board observer or actively involved in Reno Assisted Living, Cubex, Burke Williams, and Arosa+LivHome. Prior to joining HCAP Partners, Hope worked as an Analyst at the Reserve Bank of Zimbabwe where he was involved in economic policy formulation, lending due diligence for export ventures receiving funding through the Export Support Facility under the Exchange Control Division. 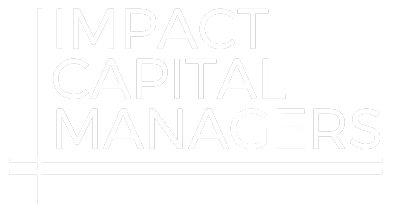 Hope is a Steering Committee Member for Impact Capital Managers, a network that brings together the general partners of market-rate funds deeply committed to impact investing representing over $8 billion in impact-focused capital. He is an Advisory Committee Member of Local Initiatives Support Corporation (LISC) San Diego, one of the nation’s largest nonprofit funding organizations, which has deployed $232 million in capital into San Diego’s low income communities. He is also a Board Member for the Central San Diego Black Chamber of Commerce. Hope earned an International MBA from the University of San Diego and holds a bachelor’s degree in finance and banking from the University of Zimbabwe.